The City of Atlanta is the news capital of the United States and hosts some of the most delicate information in the world at any one time. The importance of a safe network to communicate and store data is a company decision and cannot be overstated enough for those dealing with sensitive information. The first step to protecting your vital information is to know the methods in which it may be attacked, stolen, or copied by hackers. On average, it takes 6 minutes from the first time a factory-fresh computer is connected to the Internet to be targeted by hackers. If you are looking to start a small business in Atlanta, don't make the mistake of investing in IT infrastructure without consulting an Atlanta IT support service. To fail to protect your network from malicious attacks is to flush your money down the drain before you've opened for business. On average, it costs over $600,000 to fix a small or medium-sized business server network after a cyber attack. This means over 60% of small businesses in Atlanta who suffer a cyber attack go out of business within the first six months. The only way to prevent this from happening is to know your enemies means of attack and to engage the services of an Atlanta IT Consultant. This is an umbrella term, referring to a wide variety of cyber attacks using Trojans, viruses, worms, and more. An easy way to understand malware is to think of it as computer code written with malicious intent. Usually, malware aims to steal a user's data and delicate information or to destroy software or hardware on your computer or network. Most of the time, malware is introduced to a system’s network through users who click on unknown email attachments or incognito software downloads. If you are an individual user, avoid opening unknown emails as it is a cyber risk and under no circumstances should you ever open attachments from unknown senders. In Atlanta, the most conclusive way to guard a workplace network or small to medium-sized business from cyber malware is to establish strong firewalls through the consultation of an Atlanta IT Service provider, such as 1iX Network Solutions. 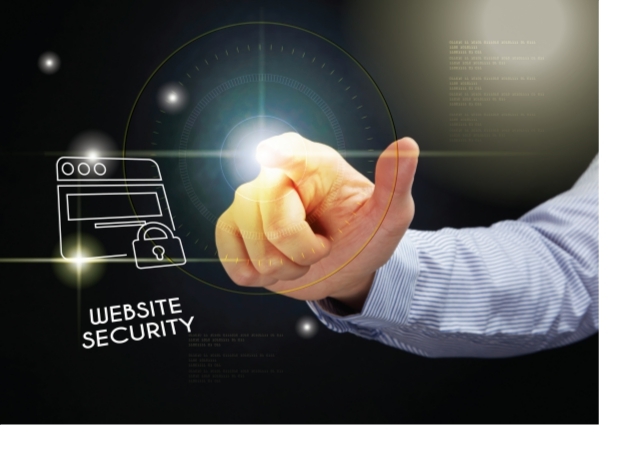 The safeguards which these services maintain offer businesses peace of mind knowing a dedicated team of professionals is engaged in the defense of your business online network security. Be certain you and your network are using the most up-to-date operating system software and innovative solutions in security updates. Managed IT services, in part, do the work of constantly updating a systems network against emerging threats. They will use a combination of anti-virus software, firewalls, and long-hand code maintenance to secure networks against hackers and malware. Spam emails are much more obnoxious than they are dangerous. However, often resembling spam ads, phishing emails are much more harmful and are often used in cyber crime for identity theft. These emails pose as a third-party, often one which is trusted, asking users to click on links which require sensitive user information. Due to the increase of sophistication in these malicious attacks, users can have a difficult time differentiating the legitimate third-party emails from the fake ones. Phishing scams will lead a user to a website, which steals personal information (identity theft) by clicking on an email link, sent from a fake third-party trusted sender. Many times, users have only to click on the link for private detailed information to be caught by the phishing software and sent to the cyber criminal. The vast majority of legitimate companies are outspoken in they will not ask for personal details via email. When you see a questionable email in your inbox, search for the sender on an Internet browser. If the sender is a scammer, this information will often come up on Internet search engines. If a clear answer is not forthcoming, call the sender via a phone number found online. Do not call the number listed on the email as these can also carry malware. DoS attacks are used to bring down the service to a network. This kind of vandalism is debilitating to small businesses and companies. The error can happen naturally, such as the Canadian immigration server being brought down by a three-hour long influx of traffic all at once. When this happens on purpose, it is known as a DoS Attack. Often, these attacks use multiple computers which all target the same subject in the goal of disrupting the service. Often, DoS hackers will take remote control of other computers in service of the DoS attack without these users even knowing of the intrusion. A DoS attack can be perpetrated using a Low Orbit Ion Cannon, which uses a computer's processing power and bandwidth along with others to overload a specified target. The consequences of letting your small business suffer a DoS attack could be a partial or total loss of stored data and the breach of private information and server data on your network. It is unlikely small organizations would be targeted by a deliberate DoS attack; however, smaller businesses have smaller networks and are easier to bring down through such a means. Always use an IT Security Service in Atlanta to oversee the security of your cyber network. The only way to safeguard your business from cyber attacks is to have a dedicated and managed IT service who works for or with your business. An IT Network Administrator Service will also create an IT infrastructure which cannot be compromised by vandalism, resulting in a DoS attack. Malware which is downloaded to your computer or network through email or website ads is called “malvertising”. Malware advertising combines innocent-looking ads on websites and spam emails to deliver malware software to your server. These malvertisements connect to keyword searches and seem to show users ads for products which they have previously viewed. This is similar to what Amazon and Google does; however, the intent of these mal-ads is to steal user's vital data and sensitive information. Businesses and individuals should enlist the service of an Atlanta IT Consultant to keep their network safe and prevent these attacks. Most malware which is downloaded by malvertisements, exists without drawing attention to itself. Most businesses will not understand their network is infected until vital resources disappear such as financial bank funds, customer data, or company secrets. The best way to prevent attacks is to fight fire with fire. If you are worried about being targeted by Hackers, hire an Atlanta IT Consultant Service. Contact 1iX Network Solutions for more information on how you can keep your network safe from hackers. Feel free to email, call, or fill out a contact form for your cyber security and efficiency consultation.